BENNET, Henry James. 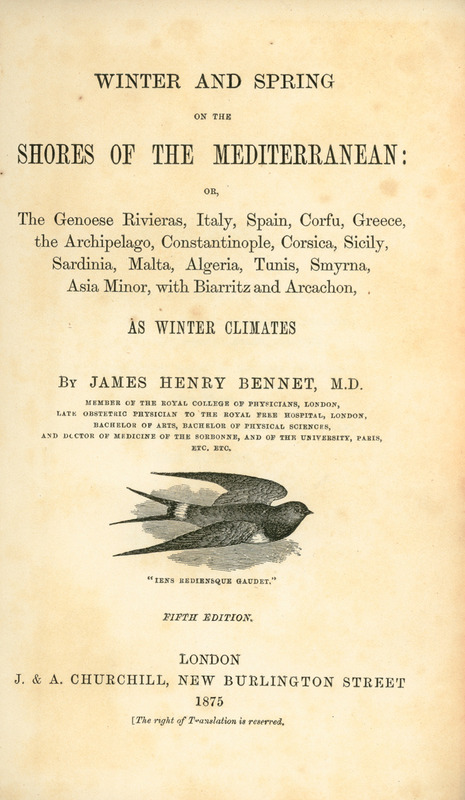 Winter and Spring on the Shores of the Mediterranean: or, the Genoese Rivieras, Italy, Spain, Corfu, Greece, the Archipelago, Constantinople…, Smyrna, Asia Minor…, fifth edition, London, J. & A. Churchill, 1875.